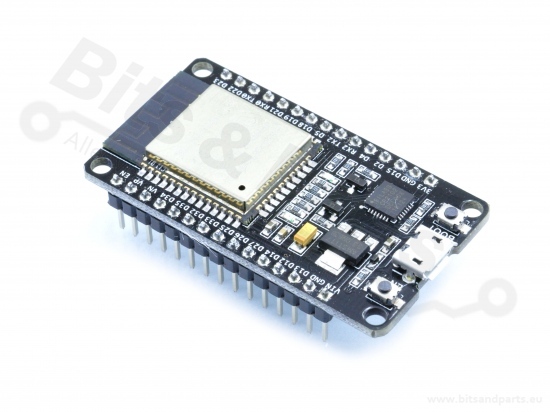 Most of the I/O pins are led out to the pin headers on both sides for easy interfacing. development easy and convenient when using a breadboard. 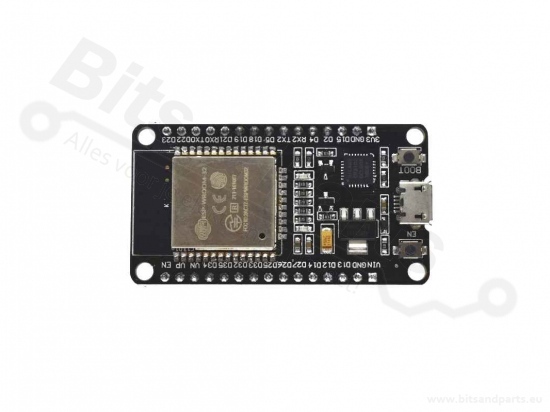 The development board includes a mounted ESP-WROOM-32 module that combines Wi-Fi, Bluetooth, and Bluetooth LE for a variety of diverse applications. 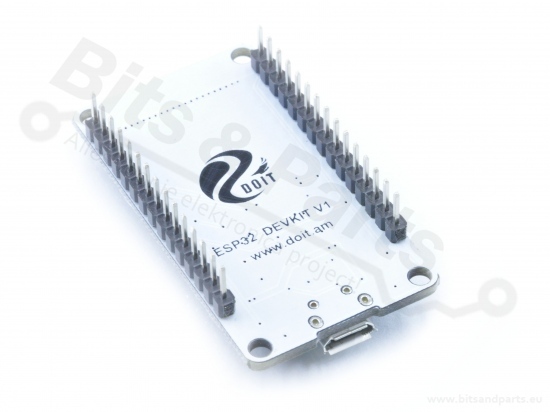 This module comes fully-equipped with 2 CPU cores that can be controlled and powered individually, and with an adjustable clock frequency (80 MHz to 240 MHz). By powering off the CPU, the low power co-processor can be used to constantly monitor the peripherals for changes or crossing of thresholds.